Batman: Arkham City takes place in the Batman universe and was released in 2011 for Windows, Xbox 360 and PlayStation 3. The game blends fast paced action with an impressive storyline and an open world environment. Every part of the game world in Arkham City is an enjoyable experience from the well-written narrative to the character design and even just the game areas that players will explore. It is no surprise that the game has received wide spread acclaim and there is no excuse to not have this game on the top of your must play list. 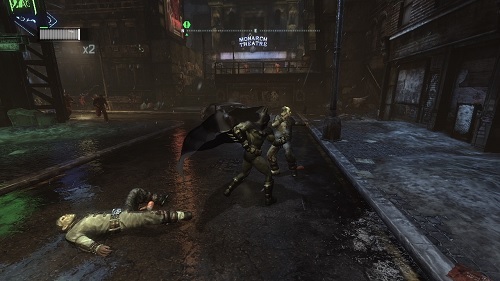 The game takes place approximately a year after the first game in the story arc (Batman Arkham Asylum). As the plot develops players will find themselves as a prisoner in Arkham City and attempting to find a cure to the mutations caused by the Titan formula after being infected (along with the Gotham hospital) by the Joker. From here players encounter plenty of twists and turns along their journey to save themselves and the people of Gotham. On top of the action and open world features Batman: Arkham City also adds in plenty of stealth opportunities for players that prefer a silent takedown. Of course players have the freedom to take a more direct approach if they wish. 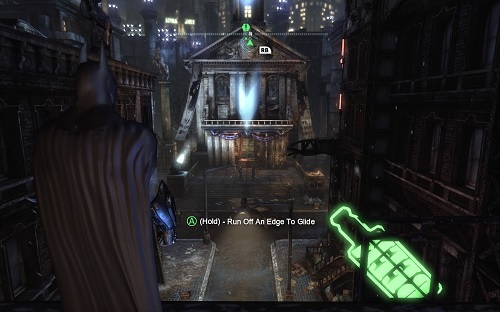 Batman has plenty of gadgets for players to make use of during gameplay including the ability to glide around the game world, a grapnel gun to reach far away ledges and Batman’s detective vision to help highlight points of interest. Thanks to the role playing side of gameplay in Arkham City all these actions in the game world (especially combat) will boost your experience to improve your gadgets, suit, skills and proficiency at dispatching of enemies. It is hard to fault Batman: Arkham City for any of its gameplay elements and promises to be a rewarding and fulfilling open world adventure. Great continuation of the Batman Arkham story arc. Open world, action, stealth and even RPG elements. Impressive game setting and story with plenty of twists. On PC, Xbox 360 and PS3.